Half a piece of boneless Iberico bellota Ham with the highest quality Enrique Tomás. 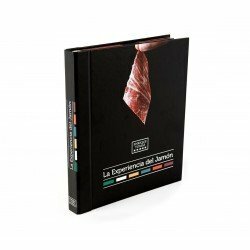 This ham comes from an Iberian breed pig, the only animal in the world capable of infiltrating fat in the muscle, giving its meat a unique flavour and texture. The flavour of this ham is intense and full of nuances. 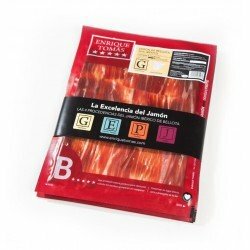 Vacuum packed sachets: 80 grams of the best Iberian products. 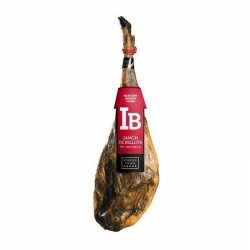 The quantity is ideal for you to enjoy the jamón, paleta (ham shoulder) or sausages at its ideal point, without the fear of not eating it in time and drying it out. An unbeatable way to encourage you to try a product without having to buy large quantities.